Hippoamps, harpies, and hydras—along with plenty of other aspects of our real-world mythologies—come to you in the brand-new deck-builder, Mythical. 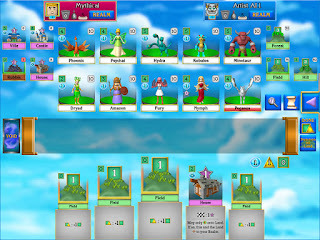 With similar mechanics as Dominion and Ascension—coupled with themes from Magic: The Gathering and RPGs—Mythical lets you take deck-building with you wherever you go. 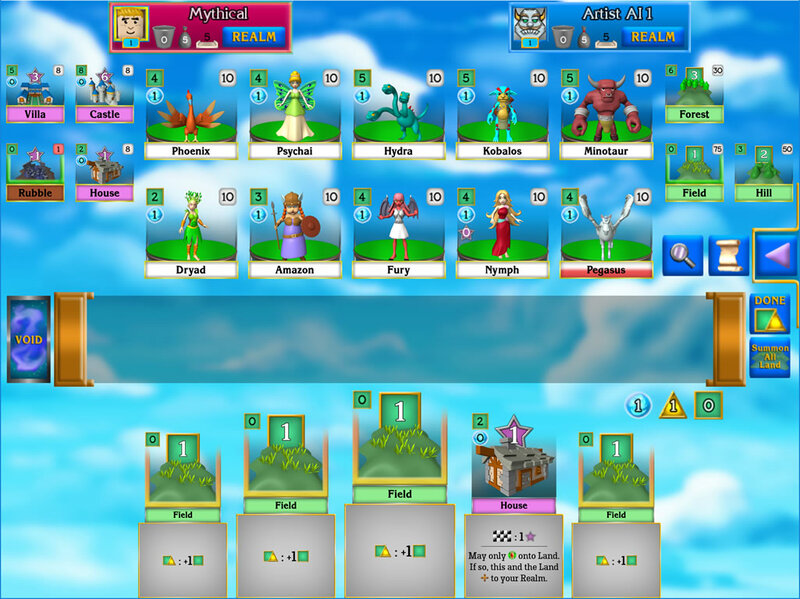 Releasing as a digital app on both desktop and mobile, Mythical lets you play against the computer, or with friends as well as strangers on different devices, and includes both online and offline play. 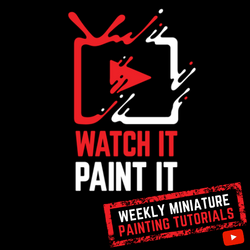 Because Mythical is not limited to paper and cardboard components, there are some unique twists that go beyond what is possible in a traditional, physical card game. Certain aspects of cards get stronger as they’re played, and attacking doesn’t have to do a blanket amount of damage to a single card; instead, attacking can weaken or affect one particular aspect of the targeted card. 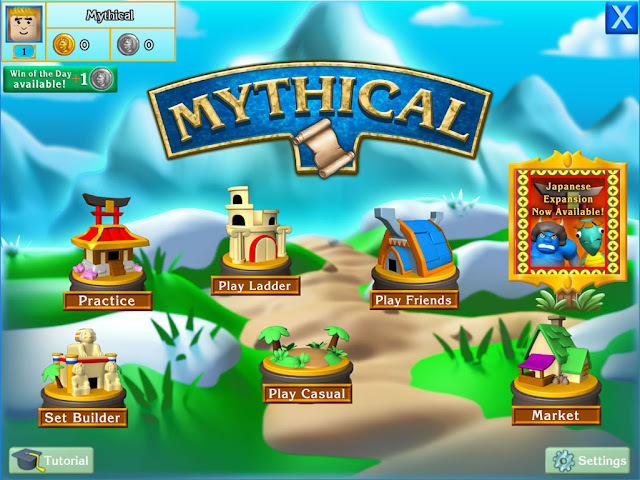 Mythical, from publisher Laser Ranch, is free-to-play and includes the option of purchasing new expansions, of which there are currently seven. These expansions include aspects of Norse, Chinese, Japanese, and other mythologies. Even without purchasing expansions, you can gain free bonuses by completing the “Win of the Day” on the app. Available for Mac, Windows, iOS, and Android, Mythical is the newest thing in deck-building. And, as a digital game, your limitations as to where you can play drop drastically. 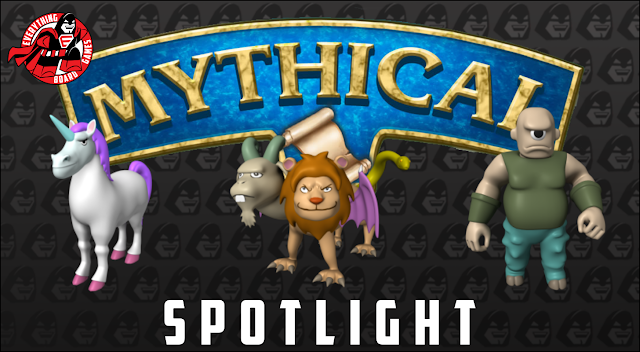 Remember—Mythical is free, so what are you waiting for? Download the app and get playing today!